We are a Cacti, Lithops and Succulent specialist just outside of Bristol in The South West of England. We sell to the general public as well as creating bespoke packages and services for business. Tony’s interest in Cacti started when he was a youngster. At age 15, he was given a few small cuttings to ‘pot on’ and grow himself. Soon enough, Tony’s Cacti collection started to grow along with his passion and knowledge. 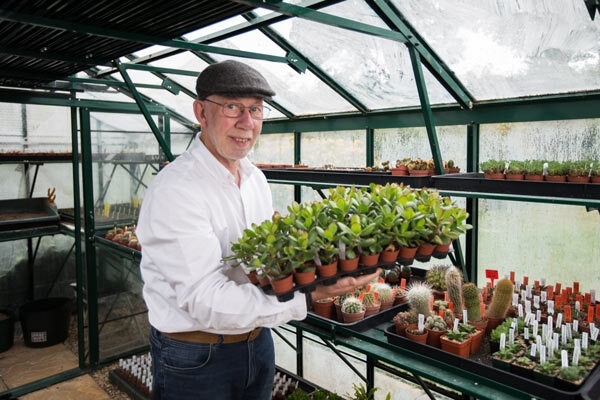 With a greenhouse in Portishead, Bristol Tony now offers small Cacti, Succulents and Lithops seedlings sown by himself for the public’s enjoyment. Tony also supplies larger cacti and bespoke orders for burinssesses to furnish their premesis. Cacti are currently popular in hotels, guesthouses, cafe’s, restaurants and more! One of the best things about Cacti is that they require very little nurturing and therefore last a lot longer than ‘traditional’ plants. Currently everything we have for sale is available to buy from our eBay store below.